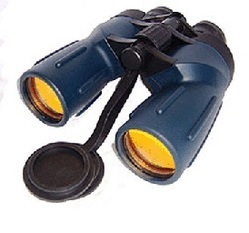 Leading Exporter of nautical binoculars from Salem. Ruby coated objective lenses for maximum brightness in low light situations. Comes complete with case lens caps,rainguard and flotation strap.